Leslie Vera is a member of the State Bar of Texas and American Immigration Lawyers Association. Growing up in South Texas, Leslie Vera had a burning desire to help immigrant families in her community. While attending Thurgood Marshall School of Law, Leslie clerked at a business immigration law firm and donated several hours volunteering at immigration clinics in Houston, TX. During her time volunteering in the community, Leslie’s desire to help immigrant families was solidified. Currently, Leslie focuses her practice on immigration law. 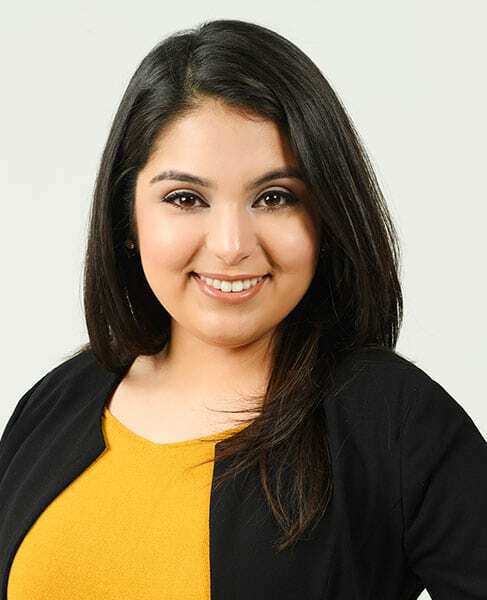 She has assisted clients with a broad range of family-based immigration matters such as immigrant visa petitions, naturalization, adjustment of status, consular processing, waivers of inadmissibility, DACA, TPS, U-Visa, and VAWA petitions. Leslie also assists client in removal proceedings and in immigration court. Leslie Vera was born in Laredo, Texas and raised in Harlingen, Texas. After earning her Bachelor of Arts in Psychology with a minor in Legal Studies from the University of Texas at San Antonio, Leslie attended Thurgood Marshall School of Law, where she earned her Juris Doctorate with a concentration in International and Immigration Law.